Someone on the Verizon team has certainly been empowered to get more aggressive with prepaid after a decade and a half of being irrelevant! It's doubling data on its prepaid plans. However, note that it's only for new customers, and is for a limited time, but with no stated end date. Hopefully it will become permanent. This is a common approach to experiment with new pricing, as it's a lower risk approach, enabling the company to eliminate it quickly should it turn out to be unprofitable. Although the Cricket exclusive Motorola E5 Supra is really just a rebranded Moto E5 Plus, it's an awesome value at $180! It has a 6" screen, 32GB of internal storage, 12MP and 8MP rear and front facing cameras, respectively, a 1.4GHz octa-core processor, and a 5,000 mAh battery. Also running the latest Android 8.0 operating system, it's a highly competitive product if you're in the market for a new smartphone, and aren't interested in paying a premium for the Samsung Galaxy and iPhone brands. AF Mobile is a new MVNO targeting veterans. Although its service is also available to the general public, it is focusing on providing low cost prepaid plans to soldiers returning home. Currently it is offering a $45 unlimited talk, text, and data plan. It also donates a portion of its profits to veterans who are determined to be at the most risk due to a lack of support systems. While I think this is certainly a noble cause, there's no way this company will survive. Operating a mobile company is very complex and expensive. In addition, we've seen this type of donation to good causes approach before. The fact is that it's simply too costly, and this type of business model just isn't feasible. Hopefully the company will be able to do some good in the veteran community before its business shutters. For those of you following this merger topic, while the official filing with the FCC is underway, not much else has materialized. There are those who continue to be concerned about its negative impact on competition, including in the prepaid space. 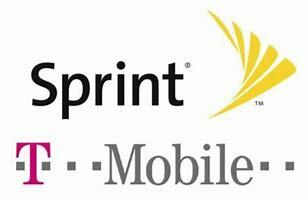 T-Mobile and Sprint executives have been trying to convince people that it will increase competition by elevating the combined company to a relevant contender against Verizon and AT&T. The jury is still out on the final conclusion, so stay tuned for next month's update! Personally, I believe the merger will be negative for competition. T-Mobile in particular has been very hungry to effect change in the market, and really has done a good job innovating on price and features, and we have seen the impact it has had on the major carriers. It's unlikely that it would be motivated, or otherwise inclined to maintain that level of aggressivity following a merger. This new smartphone has a 5" HD display, 16GB of internal storage, an octa-core processor, a 2600 mAh battery, 8MP rear and 5MP front cameras, respectively, including the latest version of Android. For $125 on prepaid, it's a decent deal, however, compared to the Moto E5 noted above, personally I'd spend the extra money for that phone. That said, if you're on Verizon prepaid, this is a good option to consider if you're in the market for a new phone.